Babson College has cleared two students of any disciplinary violations stemming from their controversial drive through Wellesley College to celebrate Donald Trump’s victory the day after the presidential election, their lawyers said Monday. The students, Parker Rand-Ricciardi and Edward Tomasso, faced accusations of harassment and disorderly conduct before the college’s honor board on Friday. The Nov. 9 incident sparked a post-election uproar, fueled by accusations on social media that the men spat on a Wellesley student and yelled racial and homophobic slurs while parked in front of Harambee House, a campus gathering place for African-American students. They are not facing criminal charges. An internal Babson investigation found no evidence the two Trump backers hurled slurs or spat at Wellesley students. Jeffrey Robbins, an attorney for Rand-Ricciardi, said Monday that his client’s family is relieved the matter has come to a close. Brad Bailey, Tomasso’s lawyer, said his client was “pleased and gratified” by the board’s decision. “Babson College certainly had a system in place to deal with allegations like this, and he trusted in the system,” Bailey said. 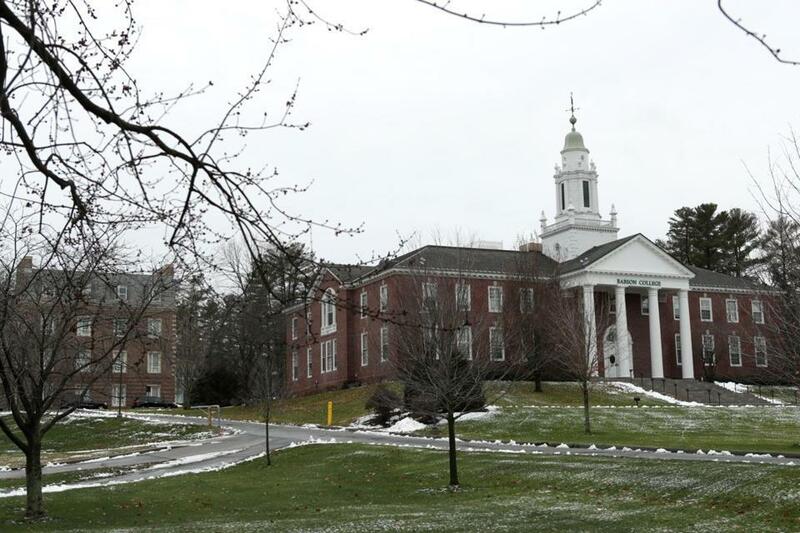 A spokesman for Babson College declined to comment, citing student privacy laws. Wellesley officials could not be reached for comment. Wellesley College, Hillary Clinton’s alma mater, held a peace walk on campus the Friday after the men’s celebratory drive. On Monday, Walker said she was disappointed by the resolution of the case. “For people that look like me, our struggle continues,” she said. But the Foundation for Individual Rights in Education, which advocates for free speech rights on college campuses, welcomed the decision. “While Babson College is not bound by the First Amendment, its policies expressly recognize the importance and value of free speech,” he said. After the incident, Babson president Kerry Healey apologized to the Wellesley College community in a letter posted on her school’s website. “We, the Babson community, were extremely upset to learn that two of our students engaged in behavior that was, at a minimum, insensitive, unacceptable, and contrary to our core values,” Healey wrote. Both students were ousted from the fraternity they belonged to, Sigma Phi Epsilon. The fraternity’s national leadership called their alleged actions “abhorrent to our members, alumni, and staff” in a statement. It was not clear Monday whether the students will be allowed to rejoin the fraternity or will seek reinstatement. Tomasso and Ricciardi could not be reached for comment. Both students denied using profanity or slurs or spitting at Wellesley students, but shortly after the incident apologized for their behavior in Facebook postings. can be reached at olivia.quintana@globe.com. Follow her on Twitter @oliviasquintana. Travis Andersen can be reached at travis.andersen@globe.com. Follow him on Twitter @TAGlobe.